A day after the logo of Thugs Of Hindostanwas unveiled on social media, actor Aamir Khan introduced eagerly waiting fans to the "biggest thug of all" Khudabaksh, played by Amitabh Bachchan. 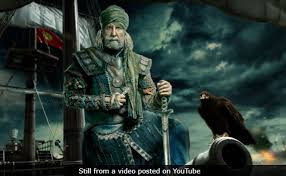 The first motion poster of Thugs Of Hindostan, shared by Aamir Khan, introduced everyone to Amitabh Bachchan's character Khudabaksh, who appears to be a menacing pirate. Amitabh Bachchan is dressed in an OTT outfit complete with metallic shoulder-pad and a sword in his hand. He appears to be on a turbulent sea with a burning ship in the backdrop. The film is replete with action sequences, because of which Mr Bachchan complained of severe shoulder and back pain earlier this year about which Aamir Khan also talked about in earlier interviews - more about that later . In March this year, it was reported that while filming in Jodhpur, doctors were summoned on the sets to check on Amitabh Bachchan because of the acute pain he was experiencing in his shoulders and back. Later the 75-year-old actor was flown to Mumbai, where his actress wife Jaya Bachchan told media persons: "The costumes are very heavy, so, there's some pain. 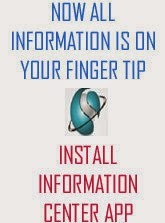 Otherwise, he is fine," reported IANS. Thugs Of Hindostan is a fantasy adventure directed by Vijay Krishna Acharya (Tashan and Dhoom: 3). After Amitabh Bachchan, we are waiting for the motion posters for the characters of Aamir Khan, Katrina Kaif and Fatima Sana Saikh - the principal characters of the Yash Raj Films-produced project.